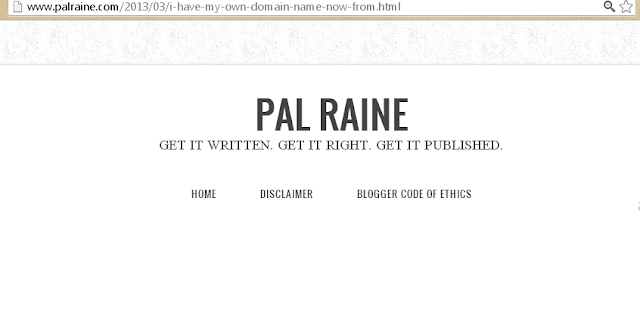 Been waiting for the right time to have my own domain name for my blog site. Well actually I have an old domain name but never used because of I don't like its name. Anyway, having an own domain name is really good because it will not just help you to monetize your site but to make it more valuable to the readers who are coming back to the site and read my posts. 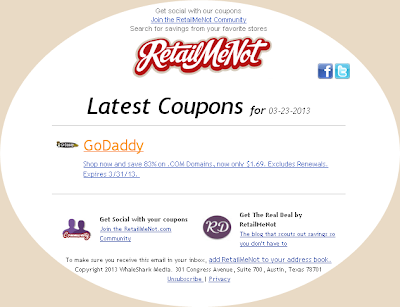 I got an email from RETAIL ME NOT and have availed the said coupon code. 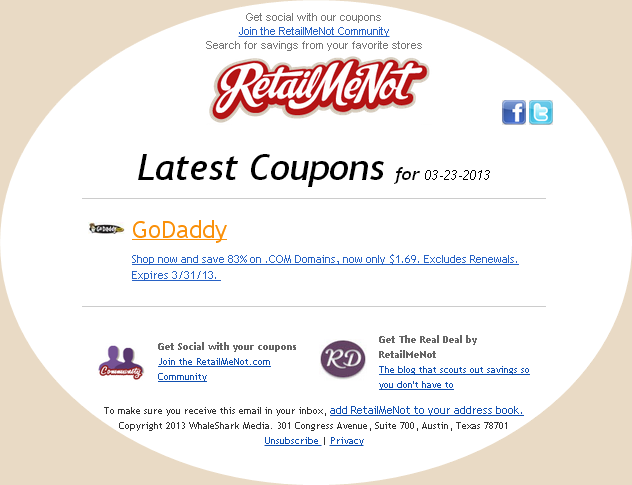 I bought my personal domain name from GODADDY, I claimed this name for only $1.87( PHp74) only. If you want to have your own domain name it is better to have a coupon code in order to avail great discount with less price. After I've done all the procedures by following the instructions from ASK PINOY BLOGGERS and at GODADDY and move/redirect my domain name to BLOGSPOT...VIOLA! Congrats on your new domain Pal. I'm sure this would be another big hit of yours. A few weeks now, how does it feel to have your own domain? Very cool Franc. It is easy now to get product reviews. Just recently my blog was approved by SVERVE. It's also good that you were able to get your domain at such a reasonable price. 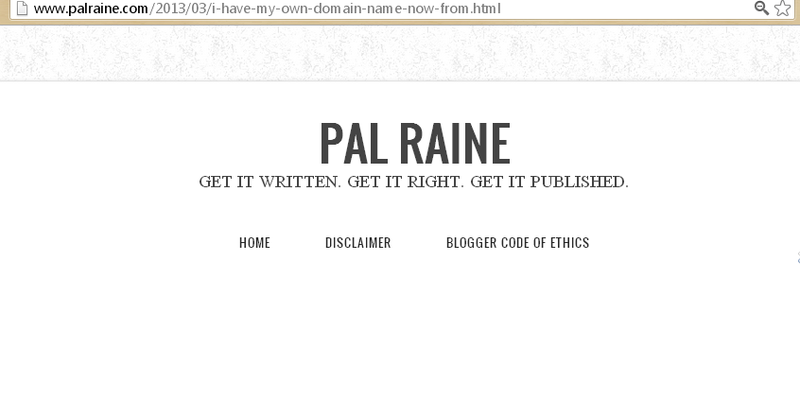 having a custom domain is always a great thing for any blog. I'm glad to know that you got your own domain now. Congrats friend on your new domain. Nice idea here. Hope I can get one too. Congrats for having your own domain! Sis, nice deal! A big congrats to you! I'm thinking of buying a new domain myself. wow. good news for you! 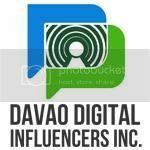 Well, i just dont know how to avail domain from others bec i use blogger. mura ha! Wow super mura ng domain mo! Nice!